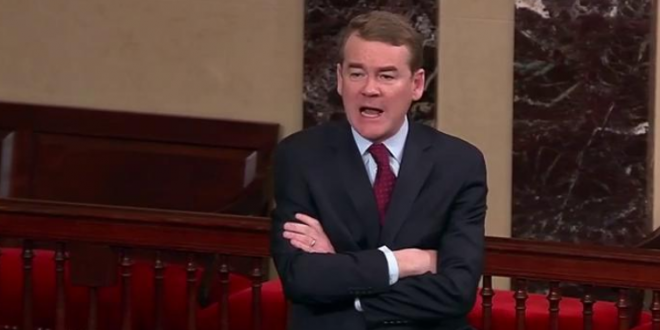 Dem Sen. Michael Bennet Rages About Ted Cruz's "Crocodile Tears" To Reopen The Government [VIDEO] - Joe.My.God. As you surely recall, Ted Cruz virtually single-handedly shut down the federal government in 2013. Sen. Michael Bennet, D-Colo., bellowed at GOP Sen. Ted Cruz on the Senate floor Thursday and accused Cruz of faking his desire to re-open the government. “These crocodile tears that the senator from Texas is crying for first responders are too hard for me to take,” Bennet said. Cruz bemoaning Michael Bennet for “bellowing” and “angry” speech toward him. Cruz says he has never done anything like that.